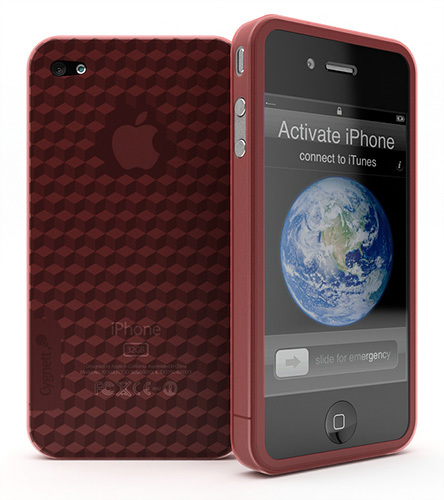 I've just spent the last two or so weeks reviewing Cygnett iPhone 4 cases and this is my favourite by far. Why? 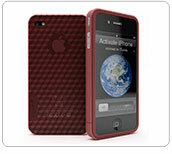 The reason is the design which looks very cool and gives your iPhone a 3D textures look. Made from a high grade TPU material, the Prism adds additional grip to your iPhone and more importantly protects your investment from scrapes and scratches. The Prism also comes with a screen protector that was quite easy to install as is the case which simply slips over your iPhone 4. That's basically it and in around five minutes, I was up and ready. The hardest part was cleaning the screen of the iPhone before installing the screen protector. The only thing that I didn't like (not really) was accessing the volume buttons which does require a slight additional force but apart from that, it was smooth iPhone 4 sailing. For those fashion junkies, the Prism comes in the following colours that include Lava Red, Ocean Blue and Dark Crystal. Lava Red is my favourite. With access to all the buttons and connectors on your iPhone 4 plus an impressive 2-year warranty and we all know the case will outlast your iPhone 4 because "No 5." is just around the corner, this is one stylish looking case that does not cut any corners and will ensure that no scratches or scruffs will appear on your smart phone.